I am searching for a Father's Day gift. Its my husbands first and I want a good gift. 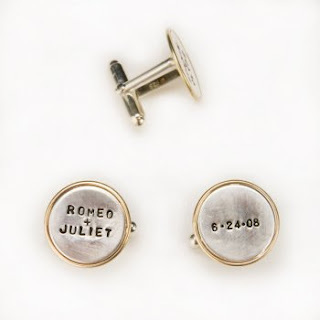 They have these neat cuff links - Put your wedding date and names of them for your wedding day or your baby's stats on them for Father's Day. 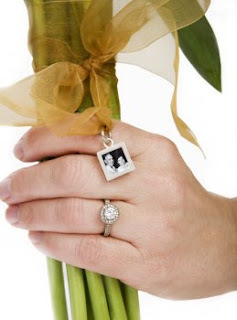 Remember someone special on your wedding day by tying this charm onto your bridal bouquet. Use a photo of your grandparents on their wedding day on one side and your wedding date on the other side - be creative, this is YOUR day!! !